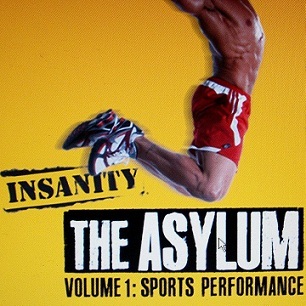 Insanity Asylum is the new fitness program from Shaun T. This workout takes you to the athletic field and is pure athletics – all sport’s specific training. Yes, it’s much harder than the original Insanity! This new insane workout is a 30-day at-home fitness program and includes 7 intense workouts on 6 DVDs. Click here to learn more about what’s in the box. BE THE FIRST TO GET YOURs! This new fitness program is available only at Team Beachbody! Click here to order Insanity Asylum! This new fitness program is said to have new and innovative workouts that will get you in super shape, like Cardio Dumbbell Rotation. Just the name is sounding like mega strength training! This is getting exciting! I can’t wait! That’s not all! You’ll get to experience a DVD called Game Day! Think heavy athletic sports games like soccer, rock climbing, football, basketball, speed skating and more! Wow, I cannot wait to see what type of unique workouts Shaun T. will be bringing to my living room! And for those of you that want even more workout time, you’ll be delighted with the Overtime DVD. This workout will give you 15 minutes of additional training time to really see what you are made of! 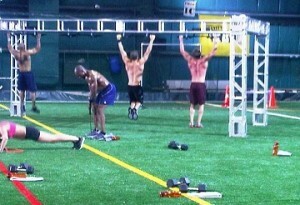 If you think the Insanity workout is hard, well, it was just a warm up. With this intense workout, you will take your fitness to new levels beyond what you thought was possible. Oh, and I heard there may be a couple of pieces of equipment, but don’t worry, they travel well and are compact. I can’t wait, how about you? Are you up for this new challenge? It is available now only at Team Beachbody. Click here to order Asylum!